The criteria for nominating is easy and fast! Click the links below and nominate someone deserving! Awards will be presented in the following eight categories. HSMAI will be presenting the James V. Cunningham Personalized Service Award and the Revenue Management Profession of the Year Award as part of the Gold Key Awards program. The period covered by the nomination is 2018 and all employees in the hospitality industry in the county are eligible for nomination. Nominations will be judged by the top elected officers of the participating organizations and MUST BE RETURNED NO LATER THAN NOON, MONDAY, FEBRUARY 11, 2019. Nominations may be submitted for one or all categories via mail, email info@sdhma.com, or online at www.sdhma.com. 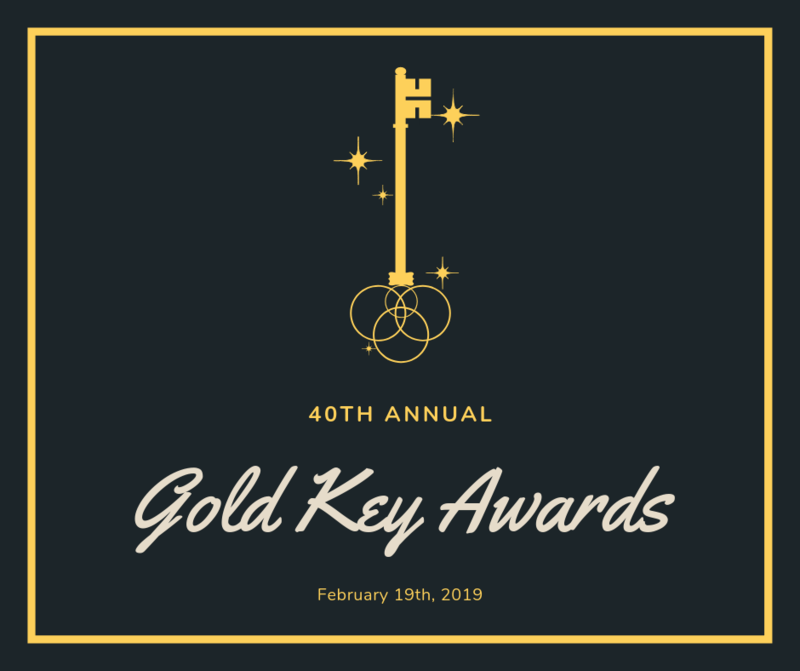 The 40th Annual Gold Key Awards presentation and dinner, co-sponsored by the San Diego County Hotel-Motel Association and the Hospitality Sales and Marketing Association International will be held at the Manchester Grand Hyatt on Tuesday, February 19, 2019. Registration and no-host cocktail reception will be from 5:30-6:45PM, followed by dinner and program at 7:00PM.